Rupert Goldsworthy is a British artist, curator and writer who became known in the mid-Nineties and early 2000s for running an artist-run gallery first in Berlin and then in Chelsea NY called rupert goldsworthy gallery. Independent curator and DIA:Beacon Assistant Director Steven Evans recently interviewed Goldsworthy about the May 1st 2009 re-opening of his space in Berlin. Tell me about the rebirth of your gallery in Berlin. One reason for re-opening the gallery after a seven-year hiatus is that I wanted to return to curating and exhibiting again. There is new work I want to show, and a different set of themes I want to deal with in a gallery setting, and a lot of my peers are making amazing new steps forward and I want to share that with the public. I ran an artist-run gallery Rupert Goldsworthy Gallery for about seven years, for two years in Berlin (from 1995-97) and circa five years (from 1998-2002) in Chelsea, NYC. Both projects were conceived to be finite and time-based at their inception. They were both modest spaces and I could run the gallery on a shoestring while teaching. At a certain point, I found the project of running an “artist-run gallery” gets quite complicated. Either you start thinking of yourself solely as a dealer, or you quit and go back to making art. In NYC in the early 2000s I showed a group of artists whose work really inspired me to return to making paintings again and start to writing more. And after seven years of continually organizing shows in my space, a lot of the questions the gallery project had been concerned with shifted into my writing. So after my lease ended in Chelsea in 2002, I decided to do a PhD in Art History/Visual Culture on these themes. (I finished it last year and that project should emerge as a book which will be published later this year.). And specifically, another reason for reopening the gallery now is that a Kahnweiller-type modest gallery project feels relevant again. As the economic crunch hits the art market, the era of the Nineties huge garage-size industrial spaces seems to be ending. It’s suddenly more acceptable to be a smaller-size venture. Hopefully we are moving into an era less concerned with production values and more concerned with ideas. Speaking of ideas, tell me about the program you are planning. I am not going to mention all the artists I am working with, as the program is still in formation, but in terms of themes, a lot of new subjects are emerging. Perhaps due to my increased involvement with academia, I am really interested in subjects like the historiography of the post-war European Left, and the parapolitical histories of European colonialism. I’m also fascinated by the ways that digital culture is impacting us all. Adjacent to these subjects, I think we may do more publishing as part of the program. I’m also inviting more outside curators this time and working on a show of younger artists from Pakistan. The New York gallery’s program became associated in many people’s minds with shows related to pop music and fan culture. Ten years on, that’s a theme that has really reached saturation point. Likewise, “institutional critique” was another dominant theme. I feel there isn’t currently a lot more I personally want to add on those subjects for the time being. What will the initial exhibition be? The first is a small group show. I inaugurated my two previous spaces with solo shows, which was great for the first artist, but for the audience it tended to define perceptions about what the gallery’s program was. With a group show this time, the audience get a fuller sense of my program.It’s not a themed show per se, more its a presentation of the range of work I plan to present. So the show is not based on one theme. Perhaps the two dominant subjects are the legacies of 1968 and the "artistic gesture" in a very broad sense. With all the work in the show, it is about a very refined hand and eye and a particular message they are communicating, a finesse with or a very particular use of materials. Most of these artists are well-known enough that one can quickly locate a position through the work. A fair deal has been published on most of them. The individual pieces in this show are really strong in and of themselves, and I greatly believe in the work, so I feel it is a really high-quality mix. I have been following the work of these artists for a number of years, and in several cases, decades, so I really know and love what they do, and am very happy to finally present their work in the gallery. Gretchen Faust is an American visual and performance artist who has lived in England for the past twelve years. For this show, Faust will include an early text piece related to the "Wall Tattoo series 1987-1990" and a number of more current works, small abstracts of cut paper. Joanne Greenbaum is a New York-based artist who makes abstract paintings. She works with a playful, exuberant, free-form, performative style; the gallery is showing small new canvases created during her time spent living in Berlin this spring. We are also including the artwork of British musician Mark Stewart who first found renown in the seminal Punk band The Pop Group. In this exhibition, two poster pieces will be shown relating to themes of left-wing radicalism. Berlin-based painter Peter Stauss is represented by a number of works on paper. His images include a bizarre cast of characters from saints to soldiers, bedraggled revolutionaries, and dope-smoking hippies. My current paintings address a range of subjects using post-Pop methodology. My concerns include the Cold War, colonial history, and the iconography of Seventies radicalism. Gabriele Stellbaum is a Berlin-based artist who works in photography, performance and video. For this exhibition, Stellbaum will show a video installation The Frozen, drawn from Kafka’s The Castle. There is a dialog between all of these works, and I feel that each artist is doing something unique and particularly resonant right now. I remember at one point you were considering opening a gallery in India; did the post 9/11 world political situation make you reconsider? I was quoted in The New York Times in 2000 saying that after the Berlin and New York projects, I planned to do a gallery in Delhi in 2003. And I spent a fair deal of time in Delhi in 2001 checking out the feasibility. Then I got put off by the whole 9/11 “terror” wave and the political situation. I would still like to do a project in India some day, but ultimately I decided to put that project on the backburner and re-open in Berlin. It’s an interesting time to be here at the moment. How has the Berlin scene changed since your first gallery here in the mid 90s? In some ways, the Berlin art scene has changed immeasurably, and in others, barely at all. Berlin in the Post-Wall era felt like a place where anything was possible. The city seemed flooded by low-budget international travellers in their twenties-to-thirties who had come for the cheap rent and all-night partying (and the lack of a need to learn German). It was a town full of people hanging out, not doing too much, here only for a few years, and generally not much concerned with luxury. The city was wide open and there were no New Berlin art stars yet. That era now seems long gone. The party crowd has moved on and Berlin’s become more international in a different way, with later generations coming here to have a career and raise a family. The newer influx profoundly changes the character of the city. Berlin still has its rougher and more bohemian edges, but like New York in the 1990s, it’s becoming more normalized, less of a destination for the voluntary exile. 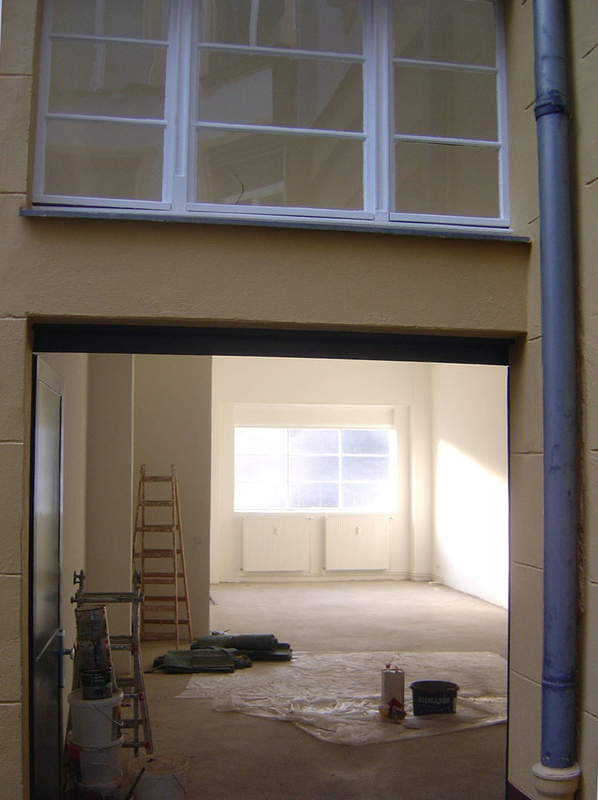 I opened my gallery in the Mitte district in early 1995; it was the upcoming area of Berlin. But I found myself as the only non-German gallerist there for my first year and a half. 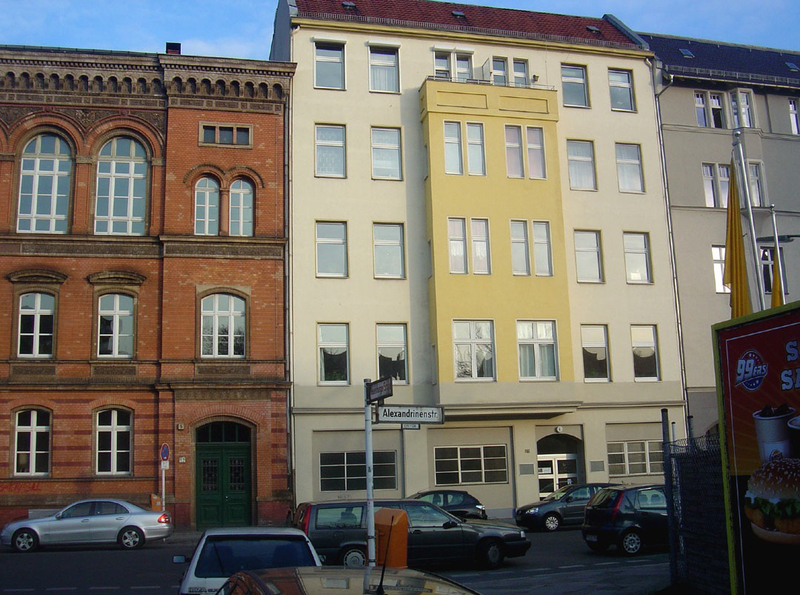 At that time, there were only seven contemporary art galleries in Mitte, all girls, Eigen + Art, Wohnmaschine, Neu, Gebauer, Arndt and Partner, and Kai Hilgemann. There were also the two institutions, Tacheles and Kunst-Werke. The post-Wall art scene felt like it was built on the intense rivalry and territorial struggle between various factions, younger dealers and curators intent on trying to corner or hold onto a share of the emerging market. By the end of the 1990s, Berlin art had become associated internationally with the careers of a small group of their younger “Berlin-related” artists such as Neo-Rausch, Jonathan Meese, John Bock, Olafur Eliasson, and Tobias Rehberger. But now fifteen years on, hundreds of galleries and a much larger international community have flooded into Mitte. However Mitte is no longer the hot spot and it feels rather ghostly. Currently the area around Checkpoint Charlie is more in vogue. In a way, not much has changed in Berlin. The hype is over. The rents have dropped. The characters involved in that old post-Wall art world struggle are all still running their galleries in Berlin, but they have mellowed, and been superseded by a new generation of wanna-be power players. The Köln art fair has had a recent slight resurgence again. Overall the Berlin art scene has become much more spread out and the powerbase is less centralized. A significant factor in the change is that in 1995 no one was so reliant on the Internet. The Internet has shifted the terms of engagement. It’s much easier to access information and less easy for a small group of dealers to monopolize the scene. Now geographic location is less of a factor. Although the current moment in Berlin art scene lacks the frenetic pace and possibility of the post-Wall period, it seems a healthier, less contrived time. The intense rivalry and grand gesturing of the first wave is over, the second wave has yet to come to fruition. Now there appears to be a broader, more genuine cultural gestalt emerging in Berlin. And thankfully, it is a lot less heterocentric in every sense of that word. Neukölln and Kreuzberg (where the gallery is) are really interesting areas right now, more integrated and more genuinely lively. I find those areas really stimulating places to be. There’s both history and so much unusual regeneration. Rupert Goldsworthy is a British artist, curator and writer. His latest space rupert goldsworthy gallery opens in Berlin-Kreuzberg at Alexandrinenstr.4 on May 1st, 2009, with a group show featuring the work of Gretchen Faust, Joanne Greenbaum, Peter Stauss, Mark Stewart, Gabriele Stellbaum, and Goldsworthy's own new paintings. The opening reception is on Friday May 1st from 4-9pm. The exhibition runs from May 1st to June 3rd 2009. Gallery hours: Thursdays & Fridays 12-6pm, Saturdays 10am-6pm, and by appointment. Steven Evans is Dia Art Foundation’s Assistant Director for Beacon, overseeing Dia:Beacon Riggio Galleries, the museum for Dia Art Foundation’s permanent collection of renowned artworks from the 1960s to the present. 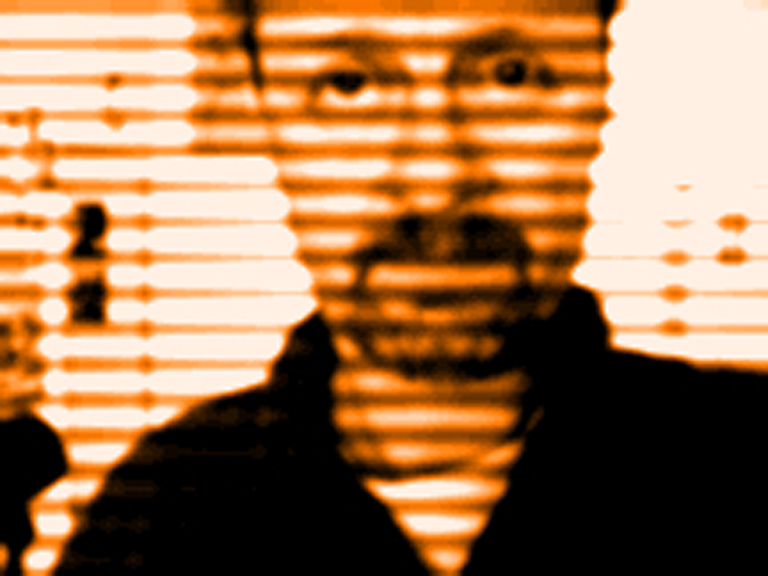 In addition, Evans is a freelance curator and writer, and has exhibited his artwork widely. His latest project, Other Voices, Other Rooms, an exhibition of minimal and post-minimal artists including Marcia Hafif and Fred Sandback, is on view at Dorsky Gallery Curatorial Programs, NYC, during spring 2009.